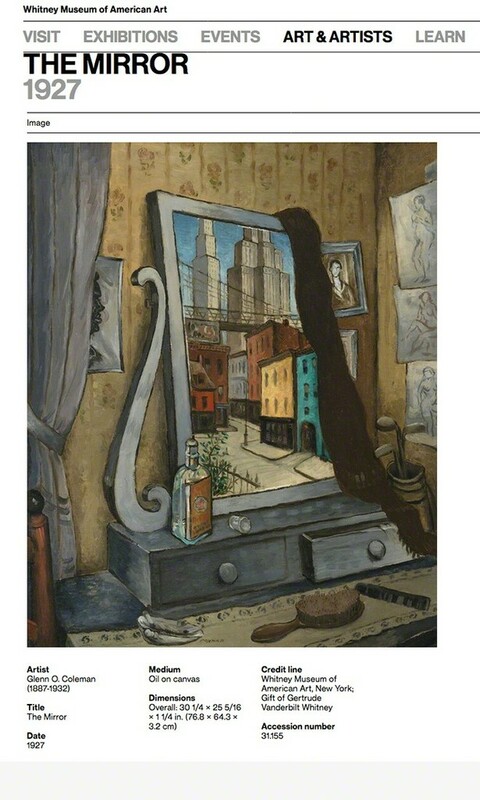 Based on Coleman's painting "The Mirror" 1927. Whitney Museum of American Art, I am dating this work Circa 1928. There is new skyscraper construction in this work and a greater density of building clustered. The condition is good. There is scattered light craquelure. A layer of old varnish is dulling the color. A light cleaning will make the work lighter and pop. Presently, the work comes off looking a bit dark in natural indoor lighting. It's best viewed best when illuminated with a direct top key light to bring out detail in the shadow areas of the painting.